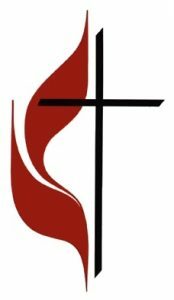 If you’d like to make a donation to the disaster relief fund for the Wisconsin Area, please make a check out to Concordia UMC and send it to the church marked “Fund 7775 Disaster Recovery-Wisconsin”. 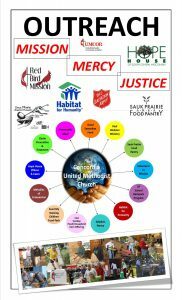 If you’d like to make a donation to the UMCOR general disaster relief fund, please click on the UMCOR icon and follow the directions there. Click HERE to read Bishop He Soo Jung’s statement related to actions taken at the 2019 UMC General Conference in St. Louis. 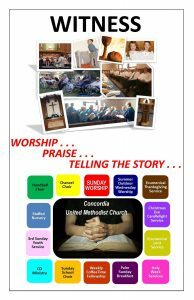 Wednesdays – Handbell Choir Rehearsal – 6:15 p.m.
Thursdays – Chancel Choir Rehearsal – 6:30 p.m.
Concordia UMC is a Safe Sanctuary Congregation. Everyone is welcome. Our Covenant: I will be loyal to the United Methodist Church and uphold it with my prayers, my presence, my gifts, my witness, and my service. We cordially invite you to visit us if you are looking for a church home, or if you are simply traveling through the area. Seeking to live out our mission statement, “As a witness to Christ in our community, we are committed to spiritual growth and service,” we welcome you to our fellowship. 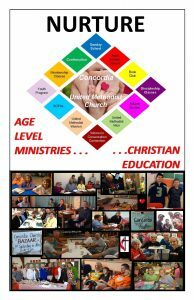 Our ministry seeks to involve children, youth and adults in education, worship and outreach to the community and beyond.